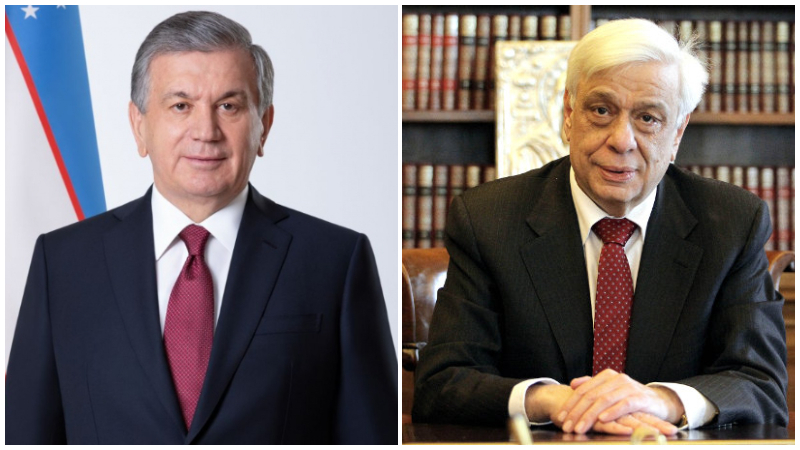 President of Uzbekistan Shavkat Mirziyoyev has sent congratulations to the President of the Hellenic Republic, Prokopis Pavlopoulos, on the Independence Day. For information, Independence Day is a national holiday in Greece, Cyprus as well as in the Greek diaspora commemorating the Greek War of Independence against the Ottoman Empire, and the formation of an independent Greek state. A common feature of Greek Independence day within Greece and Cyprus, are local school parades in many villages, towns, and cities, schoolchildren march in traditional Greek folk costumes and carry Greek flags. The largest celebration takes place In Athens where an annual military parade commemorates the event, attended by the president of the Hellenic Republic and other high ranking state officials, along with hundreds of civilian spectators, the Athens parade starts in the mid-morning, making its way from Vasilissis Sofias Avenue, past the Hellenic Parliament and the Academy of Athens on Panepistimiou Street. Participants of the parade include men and women from all branches of the Hellenic Armed Forces, and civil services such as the Hellenic Fire Service, and Hellenic Police.